Ronnie Sandler’s fight for women’s rights began in the seventh grade when she was told she would have to take home economics instead of shop class because “that’s what class girls take.” Ronnie went on to work on construction sites as a carpenter and eventually became the first woman in the Michigan trades unions. 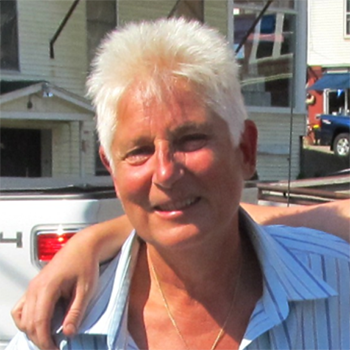 After moving to Vermont, Ronnie created the Step Up model and co-authored the program’s women’s resources curriculum. Along with Morgan Grey, she ran the first program in St. Johnsbury in September, 1985. In 1987, Ronnie and a group of women activists—including Annie Ross, one of the first female journeyman plumbers, and Carmyn Stanko, one of the first female journeyman electricians, created Northern New England Tradeswomen. Ronnie served as director of NNETW until 1994.